We study probabilistic information flow from a property-specific viewpoint. For a given property of interest, specified as set of traces, we examine whether different low-level observations imply different probabilities for the occurrence of the property. Quantifying over all properties in a given class (e.g., high-level traces, or high-level sequences separated by low-level events) we obtain different notions of information flow. We give characterizations of systems that are secure according to these definitions. We consider both properties that are expressed over whole traces and those that distinguish between past and future given a reference point. 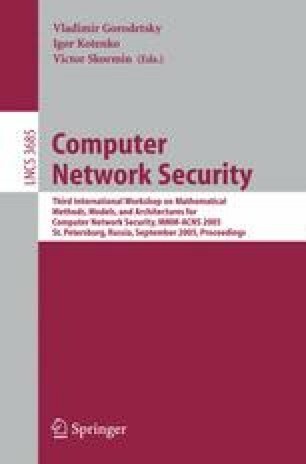 In this framework, we can express several classical definitions of possibilistic security, as well as giving a more detailed, quantitative measure of information flow.